Mickey is a 10 track punk infused ska release by long island band Eli Whitney & The Sound Machine. The band positions itself as a skapunk outfit, and I suppose I can see that. However I think they lean, on this release at least, more towards the ska end of the spectrum. I am totally cool with that. 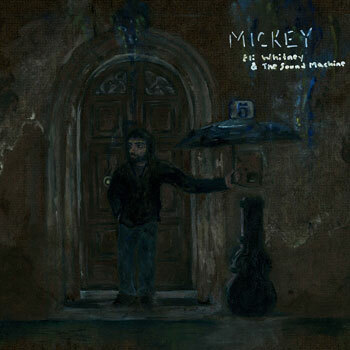 Mickey came out at the tail end of 2011 and from what I can tell is the third release from the band. The tracks on the album typify what I’ve come to think of as the 4th wave sound. Ska, if you know anything of its history, tends to take the traditional calypso rhythms and styles and blend them with both popular and less popular music of the current era, e.g. punk and metal of the respective 2nd and 3rd waves. The current incarnation is to some extent bridging the divide over from the 3rd wave with a ska punk sound that has become more rooted in a less aggressive punk style and to a certain degree almost a blend of vaguely folkish rock. Eli Whitney & The Sound Machine do an admirable job with this style and easily recall their influences and contemporaries like Streetlight Manifesto and Big D. and the Kids Table. On the whole, Mickey is a great release. You can download it from the bandcamp site for whatever price you feel it’s worth. If you can afford to, I’d suggest dropping some coin for this release and in return for your download you’re donating to the honorable cause of supporting independent music.